In the winter I crave comfort food, especially soup. 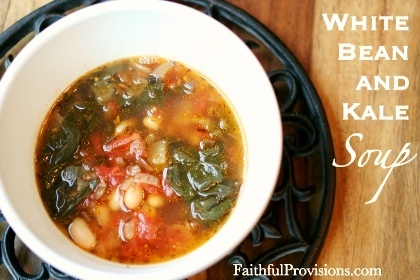 One of my favorites is this recipe for White Bean and Kale Soup. This soup is perfect for cold winter weather. The great thing about this recipe is that it offers lots of ways for you to personalize this soup so that it suits your tastes as well as what you have available to put in it. 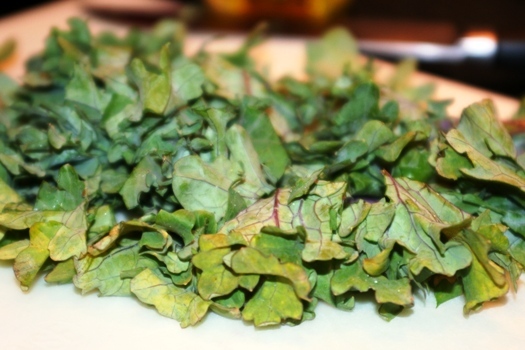 GREENS: You can substitute just about any greens for kale. My favorite substitution is Swiss chard. You could try collard greens in this soup recipe. 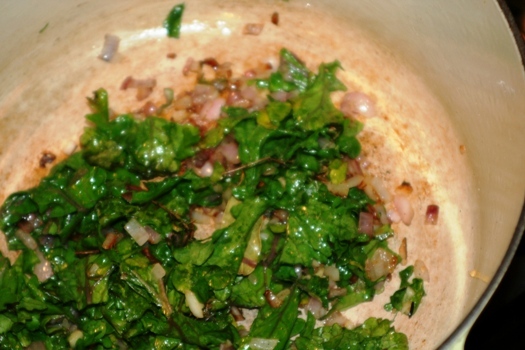 If you go with collards, allow it to simmer an additional 30 minutes or until the collards are soft. You could try spinach if you have that on hand, however, spinach should be put in as the last ingredient, and then serve the soup immediately. The spinach will wilt quickly. 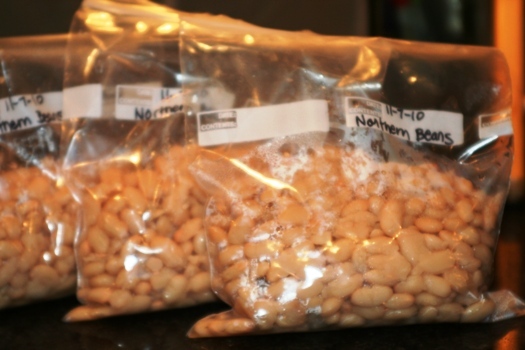 BEANS: Use whatever white beans you have in your pantry, Northern or cannellini. MEAT: If you don’t have bacon, use ham, pancetta, or any cured meat. You could also substitute a smoked turkey sausage for the bacon. (When you sauté the onions and kale, dice up turkey sausage and add at that point.) The flavor is incredible. VEGETARIAN OPTION: This recipe is easily adapted as a vegetarian soup recipe by using vegetable broth rather than chicken broth, and leaving out the meat. 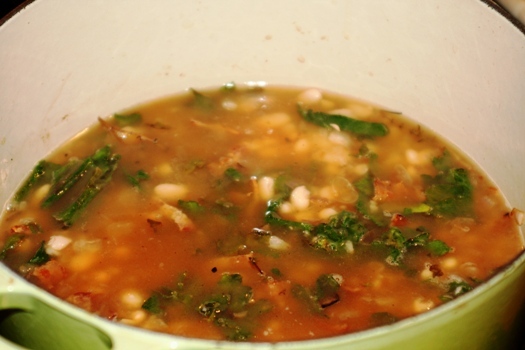 This recipe for White Bean and Kale Soup came about almost by accident. Isn’t that the way some of the best recipes are created? I had some leftover kale I needed to use and an entire bag of dried northern beans. and froze what I didn’t use in this recipe for later. I save the bean juice and put it into the soup. 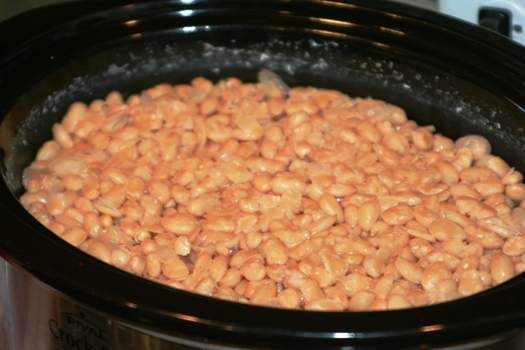 It gives it a nice starchiness (thick and comforting), and mashing the beans up thickens it too. If you like thin brothy soup, just don’t mash them up. 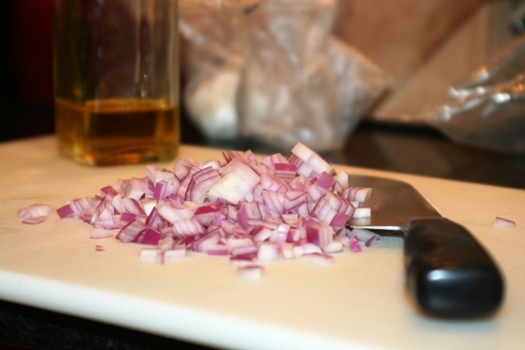 See the step-by-step instructions below with pictures, and scroll down to print out the recipe. 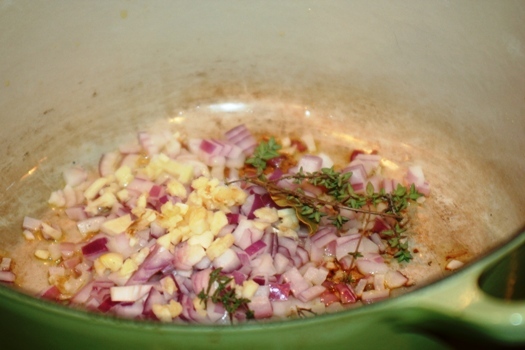 In a large stockpot or dutch oven heat oil, then add onions and garlic and saute for 2 or 3 minutes. Once softened, add bay leaf and thyme sprigs (leave whole). Add kale and bacon, cook until wilted. 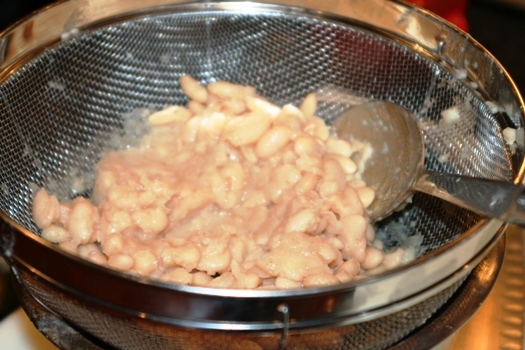 Put 2 cups (or one can) of beans into soup mixture. Then take the last cup and mash it to make a paste. Add to soup mixture and stir. Bring to a boil and simmer for 30 to 45 minutes. Serve with Parmesan cheese and baguette croutons. Then take the last cup and mash it to make a paste. Add to soup mixture and stir. Bring to a boil and simmer for 30 to 45 minutes. Serve with Parmesan cheese and baguette croutons. 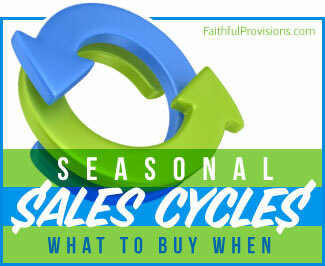 Find more easy soup recipes on Faithful Provisions. This posting could not have had more perfect timing. I soaked my white beans all night in preparation to make this soup today. Pulled up your blog to double check the ingredients and this recipe popped up first! YAY! I have made it several times and tweaked it depending what I have on hand. 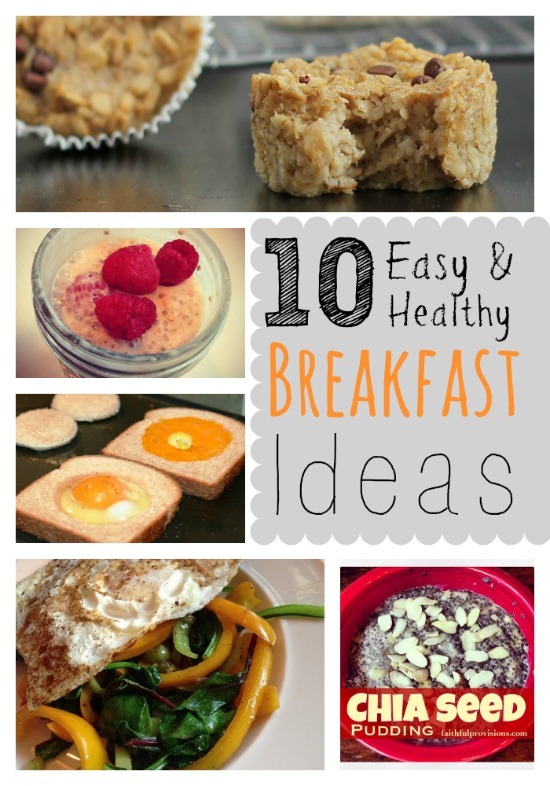 Love how easy, healthy and filling it is. Thank you for creating such a helpful blog. I love soup, and I am going to make this to have on hand for MY lunches! This soup sounds great. I would like to try it and use spinach instead of kale.